Thank you, Governor Jindal. The same Governor Jindal who famously warned fellow Republicans that they "must stop being the stupid party." This typo is not helping his cause. Nor is it helping anyone to forget his infamous, disastrous response to President Obama's first State of the Union address back in 2009. 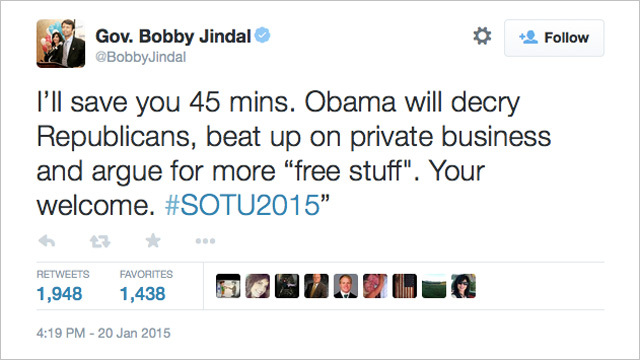 Perhaps Bobby Jindal should generally stay away from commentary about the State of the Union.